GWRRA announced its 40th Anniversary Logo Contest winner recently. The honor went to Rhonda Cook of Des Monies, Iowa. With over 30 years of experience in graphic design, Cook crafted a logo incorporating what she felt was important to GWRRA Members, making sure it had “a wow factor” and elements that were “appealing, not busy, but still had class.” She explains, “I wanted to make sure I had the red, white and blue in there. GWRRA is worldwide and so I wanted the world to be included.” She also used the color gold because of associations of the color gold to grandness and royalty. 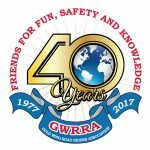 The motto and dates of GWRRA’s anniversary are a couple other features of the logo. “It was a lot of fun. I got on a roll.” That roll is because Cook loves to create. That’s why three years ago after the promotion company she worked for closed its doors, she opened the doors to her own business, Infinite Color Works, LLC. “I’ve been guided around to where I needed to be in anything creative.” Word of mouth has generated much business. 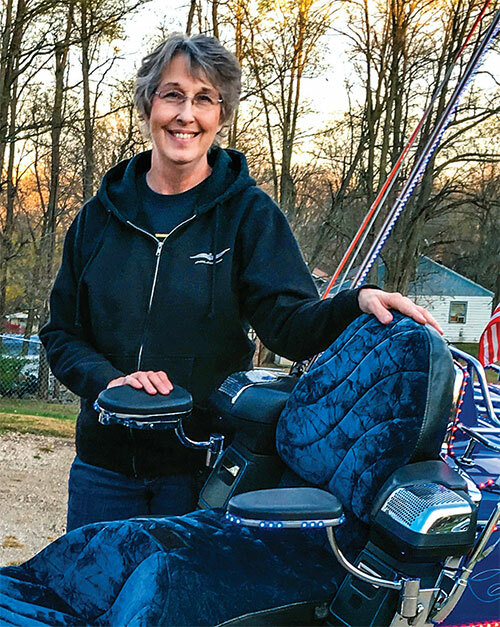 Her orders range from racing decals for stock cars to T-shirts. Because of these projects, Cook knew that the 40th Anniversary logo might need to be an image that would work on different formats, such as paper, electronic communications, as well as on fabric. To learn more about Cook’s graphic design business visit Facebook or InfiniteColorWorks.com. She can be reached by email at onestop@infinitecolorworks.com. Posted 12/05/2016 by wing & filed under GWRRA.